Isiflo - CASCADE PLC - The new home of Cascade Clamps UK Ltd, Suppliers and Manufacturers of pipe fittings to the water & gas industry. Isiflo is a range of products for the water, gas and petrochemical industries. The range itself comprises of a large variety of fittings made from Brass, composite and Ductile for use on most common pipe types. 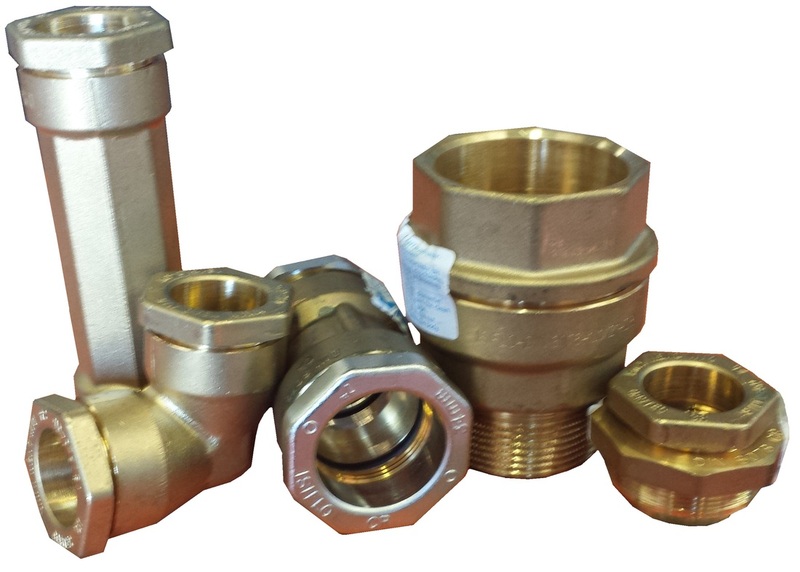 The Brass range is made up of straight Couplings, Equal Elbows, Male and Female Couplings, Tees and reducing Tees, Male and Female threaded Elbows, Reducers and Connectors and much more. These fittings are ideal for use in contaminated ground and have all the approvals for use in the UK including WRAS certification. For more information on this product please visit our partner site (link button opposite).